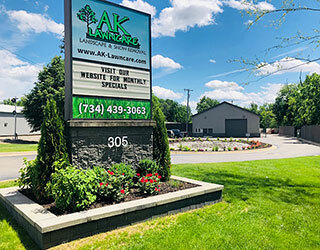 AK Lawn Care, Inc. located in Milan, Michigan since 2000, specializes in landscape services, snow management and grounds maintenance. Our company prides itself on superior customer service, using top of the line supplies and equipment, and exceeding our clients’ expectations while taking their projects from start to finish! Whether you are an established client looking for new amenities, or a potential client interested in learning about our all-encompassing services, please give us a call today at 734-439-3063 or email us. We are always available to discuss your landscape projects, snow maintenance requirements, and any grounds caretaking needs. We look forward to the opportunity of speaking with you!